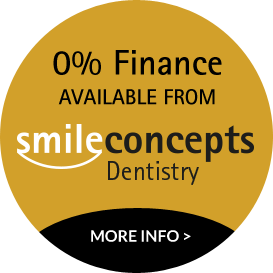 Smile concepts have become one of the few centres in the country to offer three dimensional radiography, which enables us to have one of the most accurate diagnostic tools in dentistry. The Kodak 9000 Extra oral Imaging System is at the forefront of dentistry and allows the dental surgeon to see any cross section of the tooth or jaw, rather than just the vertical height which is the case with 2D radiographs. It boasts a very low radiation dose compared to most other three dimensional scanners. The system is extremely useful for dental implants to ascertain whether the patient has enough bone for dental implants to be fitted into. This advanced planning eliminates unforeseen problems at the time of surgery. The system is also very useful for oral surgery, identifying oral pathology, retained roots and planning wisdom tooth removal. The system can also be useful in endodontics to enable the dentist to identify root canals not visible by 2D radiographs. It can also be useful to assess jaw joints in tempro mandibular disorder. Would you like to have an implant placed or a wisdom tooth removed when the dentist lacks vital information? Rather than sending patients for a CT scan at the hospital, we can now offer this service at the practice, reducing waiting times and with exceptional definition but with 10-30 times less exposure than some other systems. The system is so advanced that smile concepts have developed as a referral centre for other dentists and hospitals in the region that have patients needing more precise information. Please contact our reception team for further information.